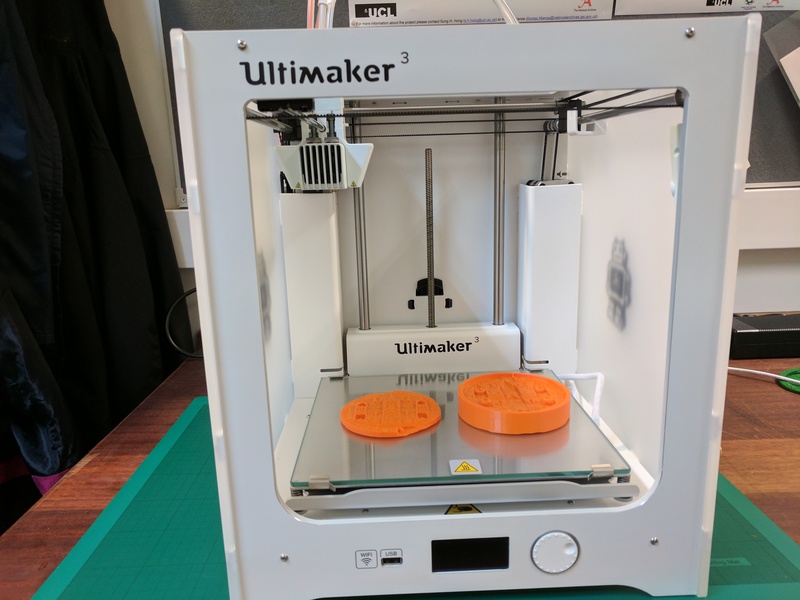 The 3D Printer for which the Friends’ Council approved funding in May has now arrived and is being put to use. The Collection Care department (CCD) has embarked on a project to develop a novel approach to the conservation, storage, display and safe handling of The National Archives (TNA) vast collection of wax seals. Many of these seals are fragile and/or broken. Past conservation treatments did not align with conservation ethics and therefore weren’t being applied anymore, leaving TNA without a suitable conservation and preservation approach. CCD is evaluating the use of new materials for the consolidation and repair of degraded and damaged seals, but as these are three dimensional objects, TNA wanted to research the application of immerging cutting edge technologies like 3D scanning and 3D printing in this area of conservation. Photo: 3D Printer, together with two sides of a printed seal. 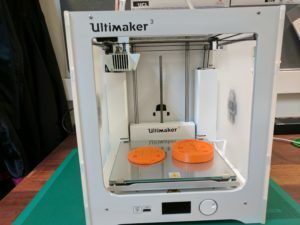 Wax seals are ideal candidates for 3D printing and the technology will give TNA the opportunity to design innovative approaches to infills, reconstruction, support for storage and display solutions, and excellent public engagement activities. Seals can be printed using various colours, above showing an orange print medium. Additionally, the Education and Outreach department is increasingly delivering workshops and events offsite, using facsimiles and digital images of originals from TNA collections. The vast TNA collection of medieval seals and matrixes are fragile and although they can be viewed onsite, they are not handled by the learners. TNA would like to offer sessions using seals as they are wonderful sources for interpretation. Having the capacity to scan and print in 3D is the perfect solution in reproducing such artefacts in a safe and useable way, enhancing accessibility and adding interest and excitement to TNAs educational programmes, both onsite and offsite.